Loving the new it boy, or rather the new IT- ART FORUM. 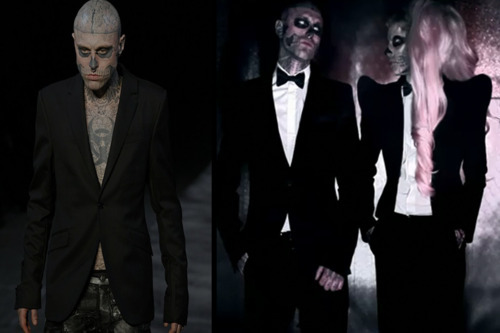 Rick Genest Is the tattooed mural that seems to be popping up everywhere, YES HE REALLY IS TATTOOED, The Thierry Mugler show, used him as a source and muse for the entire collection. Lady gaga uses him to convey the strongest message GAGA has sent out, the new race, the race that seems to be us 80s Babies. The microphone has finally come to be in our possession and we our most definitely using it. 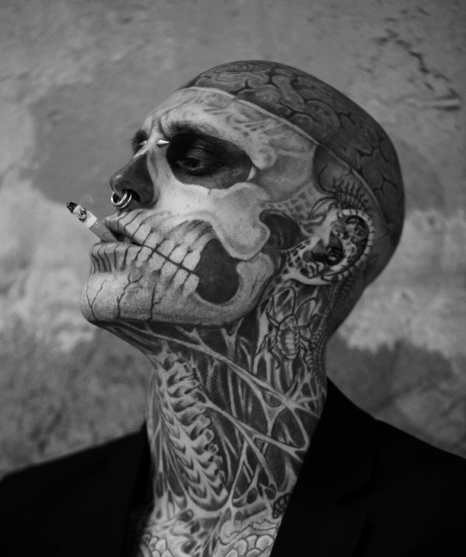 Genest is using his art much like every artist has always used it, they have made it with the purpose to be used as a tool for other artist to take and interrupt their own messages. DaVinci’s work has always been used in other forums not just his own. Hell, the Mona Lisa is still trying to be figured out on what was the purpose of that girl, but like gaga would say DON’T BE A DRAG BE A QUEEN “MONA”. Genest is a great example of how the power of art and messages are still very much a key to understand society. What one can take from this little hint of outrageousness is that we have arrived, by us I mean the new society US 80’S Babies. 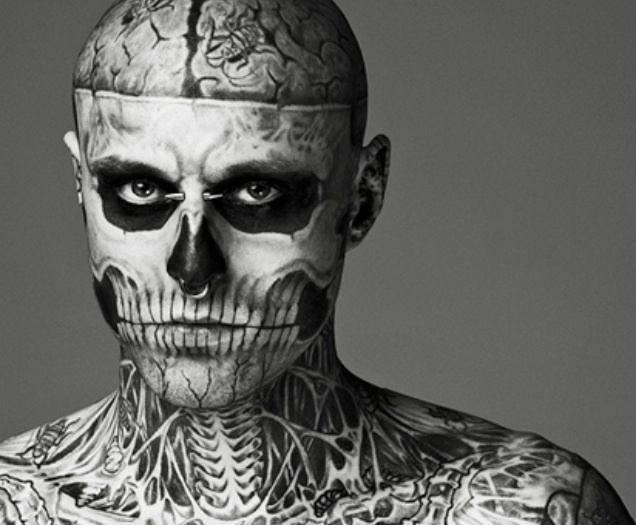 No matter if you see him as demonic or trendy, INTERPRETATION IS IN THE EYE OF THE BEHOLDER. You like how I didn’t say BEAUTY. Well the reason for that is that sometimes what we see is not beautiful, but if we look passed that, the message of it is where the beauty is found. The search for the ever knowing of who we are and what we will become is the true beauty, even if you become something that society may not think is beautiful physically, but emotionally is the greatest painting ever created.